Below you fill find all funeral homes and cemeteries in or near Burlington. Suburbs of Burlington: Lahey Clinic Med Ctr. Zip codes in the city: 01803, 01805. Some of the notable people born here have been: Roderick MacKinnon (scientist), and David Lovering (drummer). 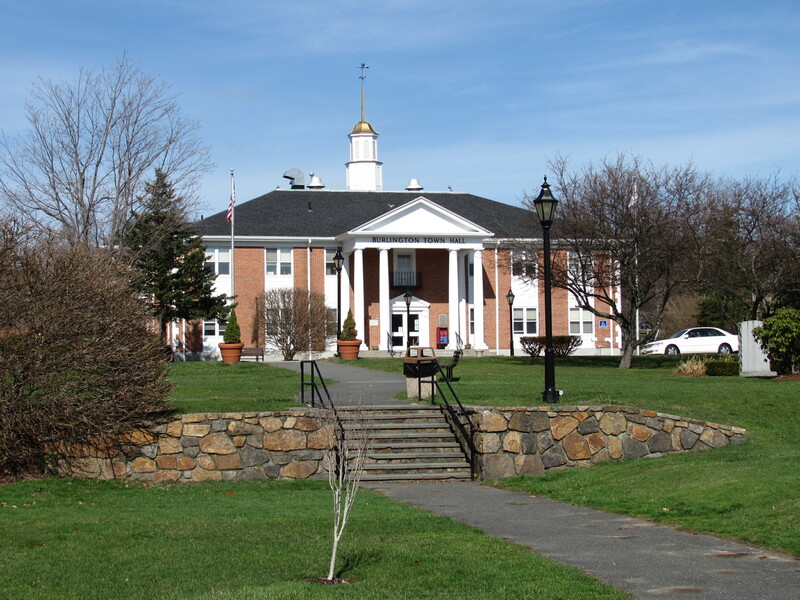 Burlington is a town in Middlesex County, Massachusetts, United States. The population was 24,498 at the 2010 census. It was written by Salem Evening News on March 30th, 2018 that Norman Edward Down passed away in Burlington, Massachusetts. Down was 77 years old. Send flowers to share your condolences and honor Norman Edward's life. It was noted by Salem Evening News on March 20th, 2018 that Jose F Silva perished in Burlington, Massachusetts. Silva was 74 years old and was born in Graciosas A, . Send flowers to share your condolences and honor Jose F's life. It was disclosed on March 16th, 2018 that Joyce E Nichols (Probst) passed on in Burlington, Massachusetts. Ms. Nichols was 74 years old and was born in Beatrice, NE. Send flowers to share your condolences and honor Joyce E's life. It was reported by Salem Evening News on March 2nd, 2018 that Joseph A "Joe" Boudreau died in Burlington, Massachusetts. Boudreau was 64 years old. Send flowers to express your sorrow and honor Joseph A "Joe"'s life. It was noted by Salem Evening News on February 15th, 2018 that Thomas "Tom" Hever passed away in Burlington, Massachusetts. Hever was 71 years old. Send flowers to share your condolences and honor Thomas "Tom"'s life. It was noted by Salem Evening News on February 1st, 2018 that Paul E Carson perished in Burlington, Massachusetts. Carson was 68 years old. Send flowers to express your sorrow and honor Paul E's life. It was written by Salem Evening News on January 27th, 2018 that Henry Chub passed away in Burlington, Massachusetts. Chub was 88 years old and was born in Manhattan, NY. Send flowers to express your sympathy and honor Henry's life. It was written by Salem Evening News on January 25th, 2018 that Francis R "Frank" Soucy passed on in Burlington, Massachusetts. Soucy was 86 years old. Send flowers to share your condolences and honor Francis R "Frank"'s life. It was written by Salem Evening News on January 22nd, 2018 that Marilyn J Beardsell (Barry) died in Burlington, Massachusetts. Ms. Beardsell was 75 years old. Send flowers to express your sorrow and honor Marilyn J's life. It was revealed by Salem Evening News on January 19th, 2018 that Donald L Goddard passed on in Burlington, Massachusetts. Goddard was 66 years old. Send flowers to share your condolences and honor Donald L's life. This picture changed drastically, however, as soon as Massachusetts Route 128 128 was built. In Colonial Times up through the late 19th Century, there was industry in the mills along Vine Brook, which runs from Lexington, Massachusetts to Bedford, Massachusetts, and then empties into the Shawsheen. It was first settled in 1641 and was officially incorporated on February 28, 1799. In one five year period, its population tripled as residential and commercial retail development exploded creating the town's present character. The Kevin James (actor) James movie Mall Cop was filmed in the Burlington Mall. 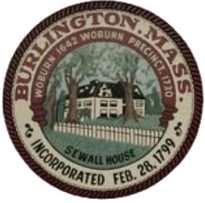 The official website for the city of Burlington is http://www.burlington.org/. Sullivan Funeral Home is located on Winn Street in Burlington Massachusetts. Funerals in Burlington, MA on Yahoo! Local Get Ratings & Reviews on Funerals with Photos, Maps, Driving Directions and more. Listing all funeral homes in Burlington, Massachusetts so you can easily send flowers to any location (same day delivery) or find any funeral service. We work with local florists and flower shops to offer same day delivery. You will find budget sympathy flowers in Burlington here. Our funeral flowers are cheap in price but not in value. What is Swedish Death Cleaning, and How is it Related to Funerals?